Sometimes, the simple dreams are the ones that mean the most to us and more often than not, the most frustrating dream is the dream that should have been the easiest one to make come true. Having a baby involves more than just wishing for one and wanting one. It is estimated that as many as one in six couples have trouble getting pregnant – something many feel should be the most natural thing in the world. The diagnosis of infertility can be completely devastating, and it can be a lonely experience; however, there is good news. The diagnosis of infertility does not have to be the end of a couple’s dream of a family of their own. 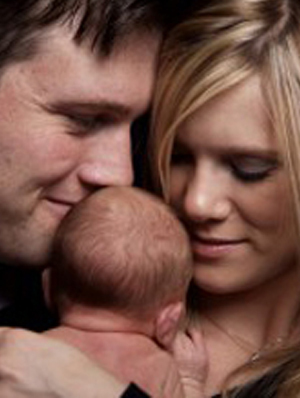 With modern medicine and science, overcoming infertility has become much easier and much more effective. In addition to In Vitro Fertilization, which has been around for more than 30 years, there are now techniques that have been developed and found to be very effective. Some are designed to help extreme male infertility while others target improving fertility issues for females. There are also special infertility correction processes that help address genetic concerns such as cystic fibrosis and chromosomal abnormalaties. There are so many different fertility treatment options available today that most couples can find one that suits their situation. According to many different studies, a large number of couples will suffer from some level of infertility. Males account for just under half of infertility cases that are reported and treated. One in 35 men, will have a fertility issue, whilst one in 25 males are thought to suffer from low sperm count. Women make up around 40 percent of all the treated infertility cases in Australia. Females over the age of 35 have a one in three chance of having fertility issues. In the remainder of cases, there are combined reasons meaning that there is a male and female issue. There are a number of factors that can contribute to the development or onset of infertility. Sometimes the cause is known and treatable and other times it is not known. In instances such as this, the diagnosis is idiopathic (unknown cause) infertilty. Reproductive technologies help many couples and are responsible for over one percent of the births in Australia. There are many causes of infertility that can reduce the chances of an individual or couple achieving a pregnancy, but with the advances in treatment and medicine, the chances of conceiving are improving at a rapid rate. Being diagnosed with an infertility issue does not have to be the end of your dream of having children of your own! Contact us today for a free and confidential consultation with a fertility nurse at our clinic in Buderim or Bundaberg: Call Us on 1300 337 845 (1300 FERTILITY) or Click here for us to contact you.